Does Internet TV pose a real threat to DTH in India? When DTH came into market there were loads of speculation as whether Indians would use it or not. CAS wasn’t working even when Govt tried to put regulations around it. But thanks to the vision of Private Companies, DTH took off in India and that too in a great fashion! Today we have 23 million DTH subscribers in India, growing at a rate of 18% and we should be ahead of US by the end of this year. No one ,specially the Cable Industry anticipated such a growth for DTH industry. But today Cable wallahs are facing a real threat of getting wiped off from the market simply because DTH industry is better regulated and both viewers and Broadcasters are in favour of this Industry. It is a matter of concern that broadband penetration in India is low at just 0.74% in spite of 104 telecom service providers providing broadband services. The teledensity is 52.74%. The situation demands an urgent focus on creation of robust national infrastructure scalable to cater to future requirements not only in urban areas, but also up to villages. 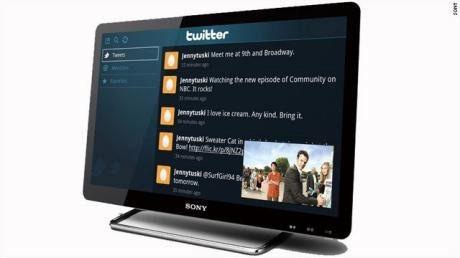 When it comes to Internet Television, it provides a lot of opportunities specially to satisfy end users. They can get on-Demand videos, movies, past telecasts, Youtube videos, live streaming etc in addition to general TV viewing. Moreover with both Google TV and Apple TV showing great interest in this Industry proves that there is lot to be seen in it from an Indian perspective. Currently they may not look interested in Indian market but one can never underestimate, seeing the success story of DTH. Problems with Indian market are that Indian consumers are not used to “pay-per-view” model, they are not used to Googling on a TV and more than that TV Channels want a good hold in the industry. Despite all these issues it can grow real fast– China is showing a good growth in IPTV, France is the leader with 9 million users followed by USA with 6 million users but China will cross both of them very soon. But what if IPTV penetrates fast? Will DTH operators be able to cope with it? I guess there is no easy answer to this. But in my opinion companies having a good broadband penetration already will be having the edge- TATA Sky and Airtel need not to worry much but others do! Now there is one other angle to this story- recent partnership of Sony with Google TV shows that there is this another opportunity for TV makers to get associated directly with Internet TV providers by-passing the whole Operator industry. In such case what you would need is simply an internet connection (no matter who provides it) a Google/Apple TV and an IPTV enabled TV. This may pose yet again a big threat to current DTH players. What’s your say on this? Weekly Wrap-up: Koutons, Tata Aria, Windows 7 mobile, Google, Android, CWG, MNP, Coal India IPO, & more. Free Direct-to-Home [DTH] from Doordarshan soon! Yes, its really bane for DTH operators in India. but its less effect to digital cable networks. Exactly. But I guess It can be a potential market in certain IT bound areas, like Bangalore, Pune and Mumbai. for a Normal day I get 250-300Kbps in office and 100-150Kbps at home. Thats sufficient for a 360p video streaming. With the broadband speeds India have? No way!